A recent story in the New York Times reported on a study that analyzed whether the “when” of your baby’s delivery could affect that delivery. Per the data, the paper reported, having a baby in the egosvening or on the weekend, in the month of July, or during the holidays may increase the possibility your baby may not get the care he or she needs. The results of the study are leading medical professionals to think through how hospitals can better serve mothers and children during these different time periods. Mothers, after all, cannot control when they go into delivery. Hospitals should control the possibility of medical mistakes. Night shifts. The possibility of complications for the mother and child rose by 21%. Weekends. The risk increased by nine percent. Holidays. The risk of complications increased by 29%. The study also found that the dangers of complications in teaching hospitals rose 28% in July, the Times reported, when new residents started their training. As the months go by and the residents acquire competent skills, the risks decrease until, by June of the following year, the risk of complications is directly comparable to the risk of daytime complications. The Risk Analysis study used control groups to ensure “race, education, maternal and gestational age, congenital anomalies and other maternal and infant risk factors” wouldn’t affect the outcome, per the Times. Cerebral palsy. The lack of oxygen during surgery can lead to the development to cerebral palsy. Cerebral palsy is a serious disorder that affects a child’s cognitive, social, physical, and emotional abilities. Shoulder dystocia. A newborn’s shoulder can suffer nerve damage if the delivery is not handled properly. Shoulder dystocia affects the arm and hand in addition to the shoulder. While the damage is normally temporary, it can be permanent. Cerebral ischemia. If the newborn’s brain doesn’t get enough blood, the newborn may suffer memory loss, weak muscles, and urinary incontinence. Forceps injuries and vacuum extraction injuries. These tools can harm a baby if the child needs helping emerging from the birth canal. OB/GYNs must take are not to apply too much force, and to monitor for the signs of fetal distress. When hospitals, doctors, and staff make medical mistakes, they deserve to be held accountable for all the harm to the baby that they cause. In some cases, the harm may cause permanent damage and may require a lifetime of medical care. 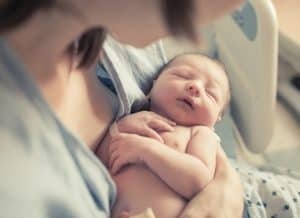 If doctors or other medical professionals make mistakes that cause birth injuries, the experienced Phoenix birth injury lawyers at Plattner Verderame, P.C. can help. To schedule a free consultation, call us today at 602.783.8793 or complete our contact form.